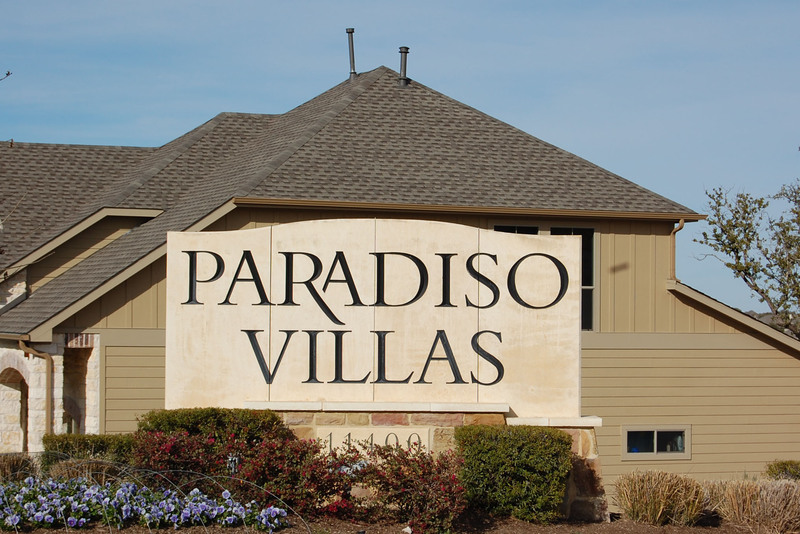 Paradiso Villas is a really nice Milestone Community condo development located off of Parmer Lane NW of Austin in Cedar Park TX. It is a Milestone Community designed with the single urban professional in mind. There are some lovely greenbelt views, and the yards are also maintained. Amenities include a community pool. Residents also enjoy great shopping nearby such as Lakeline Mall, 1890 Ranch, Round Rock Outlet Malls, and Wolf Ranch in Georgetown. Special events at the new Cedar Park Events Center and the new Williamson County Regional Park should provide plenty of entertainment. Residents also have fairly quick commutes to Austin, Leander, Westlake Hills, Round Rock, Pflugerville, and Georgetown.